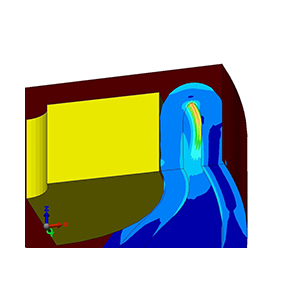 FEA-Solutions (UK) Ltd - Finite Element Analysis For Your Product Design | 127: Peristaltic Pump Quarter model of a peristaltic pump hose subjected to compression and internal pressure. Fully non-linear analysis with hyperelastic material. Based on results, recommendations made on hose shape improvements.